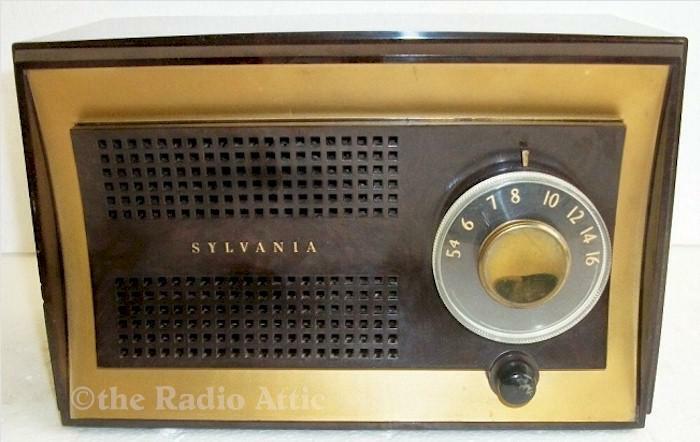 This radio is an All American Five (tube) Super-Heterodyne AM set which has been electronically restored. All of the old paper and wax capacitors are gone and have been replaced with new modern, longer lasting capacitors also the old filter or electrolytic capacitors have also been replaced. It is working perfectly and all ready for a new life. The good looking black and gold trimmed case has been buffed up to a real nice shine. Note! There is a 1/4" what looks to be a crack in the lower right back bottom corner but doesn't appear to go completely thru. Couldn't get a picture because of the shine. Never even noticed it myself until I was polishing it. I have adjusted the price accordingly. 10-1/2"W x 6-1/2"H x 5-/2"D.
You are visitor number 1,736 to this page.